NOTE (from Oct 30th, 2018): The encide.net website (powered by SMF) was taken offline in September of 2017. The instructions below will remain for archival purposes. Even though encide.net is offline, users can still regain control of their migrated accounts and can contact us if needed for help identifying or updating usernames or email addresses. These instructions were ideally meant for users from May of 2016 up until September of 2017, but it will remain here. These instructions are exclusively for users who originally created their accounts on encide.net between its initial launch with SMF (April 14th, 2008) and the beginning phase of the encide.com relaunch with WordPress (April 12th, 2016). If this doesn't apply to you, you are welcome to register a new account today! All existing accounts on encide.net, as of April 12, 2016, have been migrated to encide.com and will require a password reset in order to gain access to them. 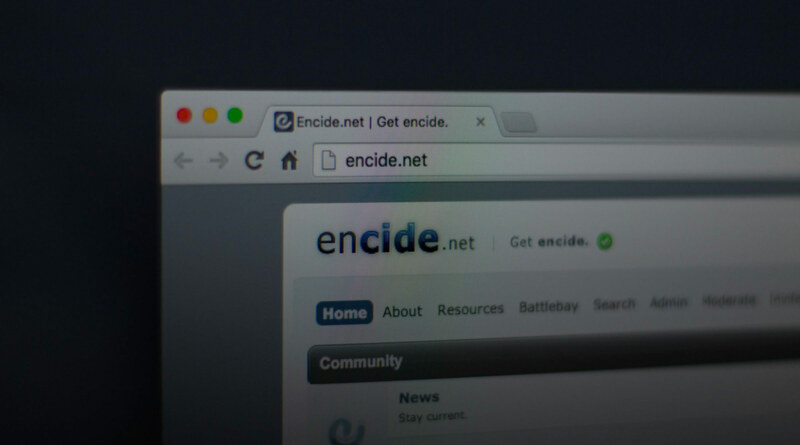 Note that a small number of deleted and banned accounts from encide.net's past are not recoverable, yet the vast majority of accounts that were in good standing are available for use by the rightful email owner associated with the account. In order to accomplish a password reset to start using your migrated account, you will need to both (1) know and (2) have access to the email address that you registered your encide.net account with. If you don't want to activate your migrated account, you may create a new one instead (although this is not recommended as new accounts are not granted forum access and we won't have the time to manually give access to new members right away). If you discover any bugs with these steps, contact us with the subject "SMF" and any details you have. Note: Some users seem to not have forum access after resetting their accounts (they see the same "Private Community" message that guests see). While we aren't certain of the cause, we have been able to correct each instance of this bug. It is some combination of caching, forum permissions, and/or the user's current session. Always try to clear your cache first before anything. Try logging out, clearing your cache, logging back in, clearing your cache again, and then clicking on the forum link from the home page. If that doesn't work, try it from another browser to just make sure. If that still doesn't work, contact us and we will manually reset your forum access and clear all current sessions for your account. This will force you to be logged out when you load or refresh the site. From there, clear your cache (again) and login (again). Only a tiny handful of users have needed for this to be done so far. Most users, 90%+, have had instant access without any issues. Find and copy your existing account's email address. Don't remember it? Login at encide.net, and click on Profile > Account Settings to see or copy your email address (located half way down the right column). Don't have access? Is it an old email address, on an expired domain, etc? Contact us with a current address that we can manual update your account with. Visit the password reset page. Type or paste in your email address and then click the "Reset Password" button. Don't type in your old username for this step. WordPress's migration process from SMF may have altered your username's format. Email is more reliable. Not all usernames were converted identically. Special characters, spaces, and capitalizations have been altered. Some examples are given in step #5. For future password resets, you may use your username or email address. Instructions for how to find your exact username are listed below. Check the inbox of the email address used for the reset and click on the reset password link. If no email shows up, or if you reach any errors, contact us with details and screenshots for support. If all else fails, we can manually generate a new, random password for your migrated account. Choose a strong, random password that you don't use on any other accounts for optimal security. To complete your login, you can either use your email address or your username. For your first login, avoid possible errors by using your email address instead of your original username (where the input field asks for your username). Once logged in, you can find your username by clicking on your circular profile avatar and copying the string from your unique URL (encide.com/username). The username string in your unique URL is your correct and exact username. Feel free to login with this instead of your email address in the future. Your exact username might have changed during the SMF-to-WordPress conversion due to their different syntax and formatting requirements. Example 1). The user (" ^div ") has been converted to (" div ") since WordPress doesn't support special characters like (" ^ ") in usernames. Example 2). The user (" Slow Duck ") has been converted to (" slow-duck ") since uppercase characters are lowercased and spaces become dashes. *Update: It turns out that usernames with dashes, periods, underscores & spaces cause bugs. They will be removed from ~28 applicable usernames. If you would like to have your username changed, contact us with your current username, current email, and your desired username choice. Changing usernames takes us time. Make a good decision and stick with it. We recommend real names. Some usernames have been blacklisted (in a private list) for new and existing users. Sign up for the newsletter via the home page! Migrated accounts will need to manually opt-in for the mailing list. Check your avatar. Our new design uses circular cropping against dark backgrounds, so some migrated avatars will look unpleasant. Example issues include distorted aspect ratios, animated GIFs no longer animating, transparency issues with both GIFs and PNGs, etc. Check your signature. The migration process converted SMF's BBCode-based signatures into a bbPress plugin, so there might be inconsistencies. Example issues include links becoming inactive, custom colors losing legibility against dark backgrounds, font sizes losing desired proportions, etc. Update your profile links to help others find you around the web. Upload a cover photo that fits your personal brand! Update your display name to your real name.